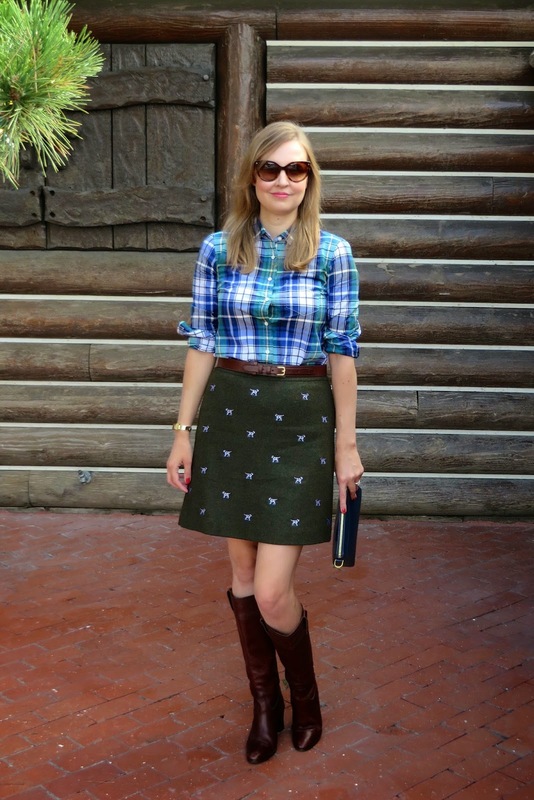 When fall rolls around, I always find my wardrobe taking a bit of a preppy turn. 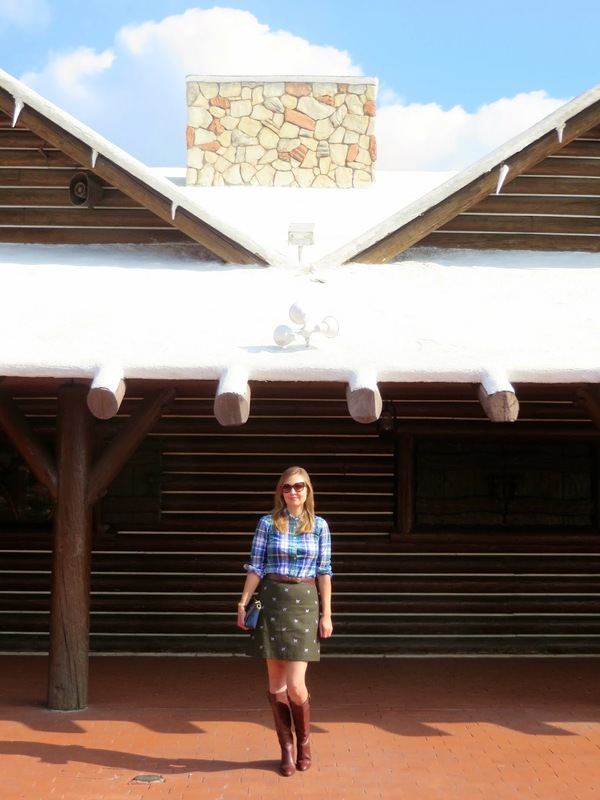 For example, lately I have been lusting over some of the selections from Brooks Brothers fall/winter line which is filled with plaids, flannels, cable knit sweaters, loafers and other such preppy staples. 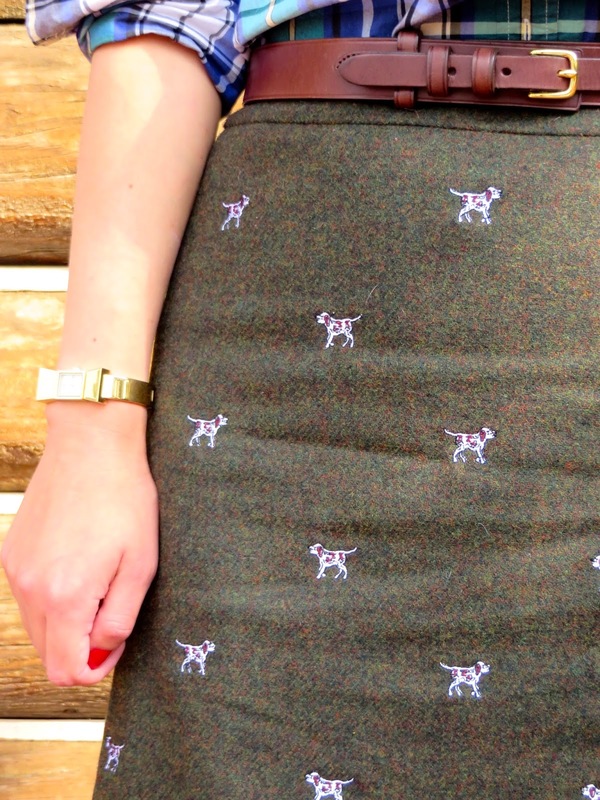 When I saw this adorable wool skirt featuring embroidered dogs from their Red Fleece line, I was sold. How much for those doggies on the skirt? Needless to say the whole litter of these preppy pooches came home with me, well actually I ordered this skirt online, but you know what I mean. My only complaint? Use English Springer Spaniels instead of what I presume to be Pointers as your breed of choice next time, Brooks Brothers! 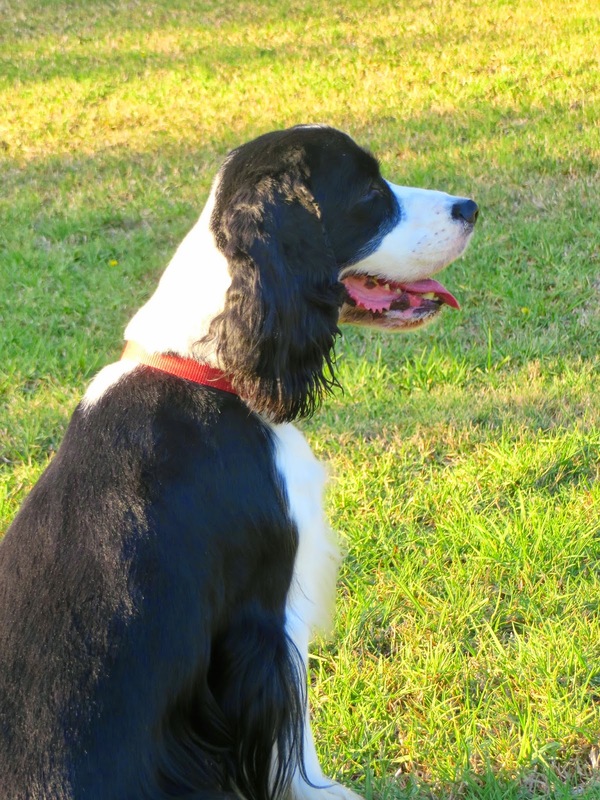 William, my English Springer Spaniel is actually my ultimate preppy accessory. I'll have to feature him next time I wear this skirt! Below, Colonel William Van Winkle The Bard of Bardstown, also known as "The Ultimate Preppy Puppy Accessory"! Oh my gosh I love it! The whole outfit flows really well, Katie! Your prints are always so fun, unique and happy. That pooch skirt is tres chic and whimsical. Love it. Have a great weekend, Katie! Thanks Ada! I think I'll be getting a lot of wear from this whimsical skirt this season. I hope you a great weekend too!